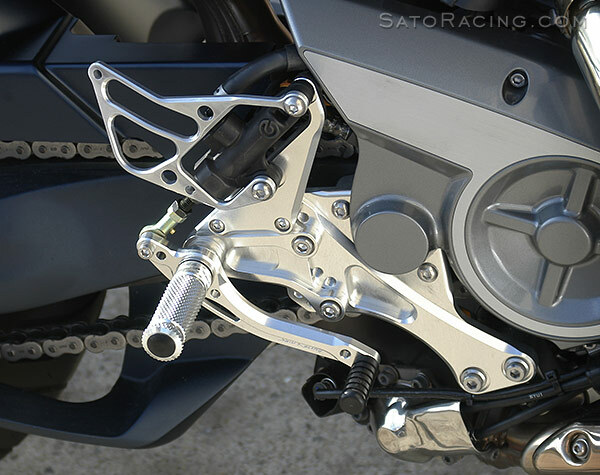 SATO RACING Rear Sets for Yamaha MT-01 (all years) are made of high grade billet aluminum anodized in your choice of deep Black or bright Silver (clear) finish. 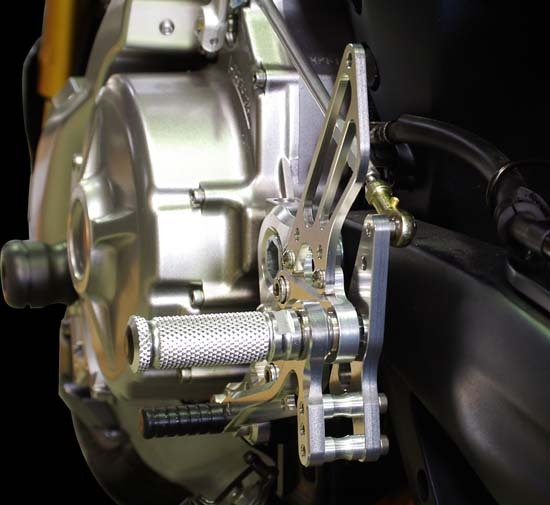 Modular step plate design provides 8 adjustable positions that place your feet higher and further back compared to stock, which can help to increase lean angle during aggressive cornering. 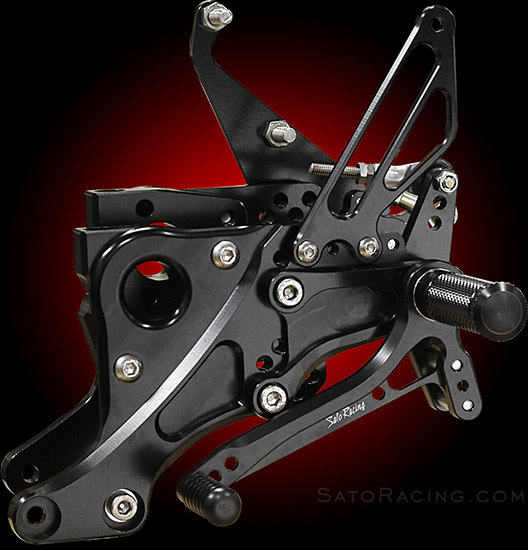 The standard Rear Sets are stock shift pattern only. For riders who prefer to use a reverse shifting pattern, we also make a dedicated Reverse Shift version of these Rear Sets. 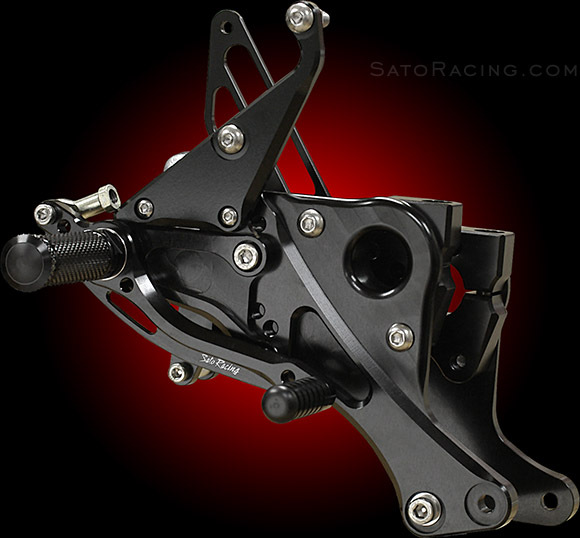 The shift and brake pedals utilize double stainless bearings for smooth, precise shift action. 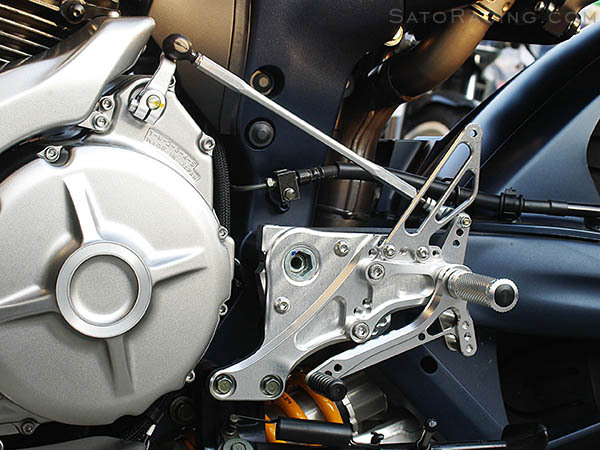 The shift stroke can be adjusted by changing the mounting position of the shift rod. 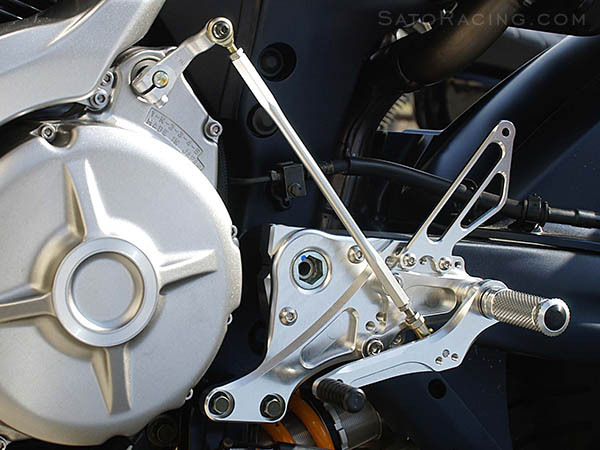 Reverse Shift Rear Sets give the MT-01 a GP-style reverse shift pattern. 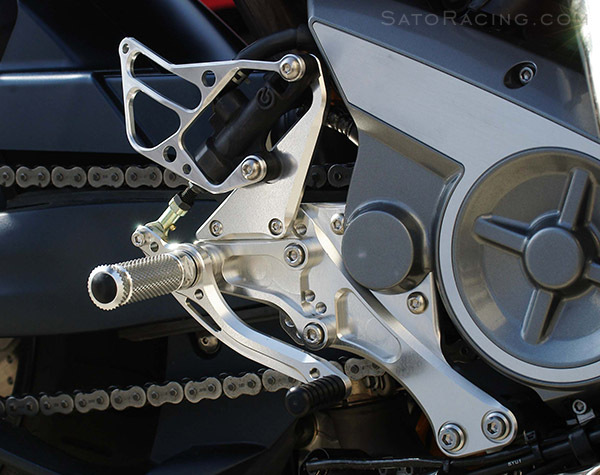 Sato Racing Rear Sets, or view the PDF: MT-01 | MT-01 w/ Reverse Shift Pattern.